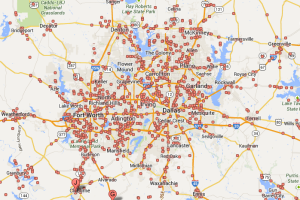 Looking for storage auctions in Dallas, Texas? You're in the right place. We publish the weekly auction schedule for the DFW area, which includes every storage facility within 50 miles of downtown Dallas. Click on the map below to see our coverage area. On average, we list over 300 storage auctions every month, including auctions that cannot be found on any other website. Our call center directly contacts over 1,100 storage facilities in order to provide you with the most reliable and up to date information available. We organize all of the information into an easy to read, PDF format, which allows you to print out the auction list for the entire week with one click of a button. This is an example of our storage auction schedule - These are not actual auctions. The facility above is selling a flat screen TV and a safe. The facility above is selling welding equipment, 5 sewing machines and commercial sewing equipment. The facility above is selling antiques, a Nissan Maxima and a generator. You will receive the complete storage auction schedule for every storage facility within our coverage area. Our storage auction list provides you with the name, address & phone number of the storage facility, the time and date of the storage auction and the number of units scheduled for public sale. We provide you with information on storage auctions that aren't advertised on any other website. When we receive inside information, you’re the first to know. We also make special comments if there are any unusual items for sale at the auction. You can use our blog and forum to ask questions, learn about the business and get advice from professionals. If you are an experienced storage auction buyer, you can use the blog & forum to share your experiences, help others and network with other professionals. You also get access to our Houston, San Antonio and Austin auction lists. We realize you don't want to spend your valuable time doing research. You want to spend your time at auctions looking for some good deals. Our service really is a must have for anyone who wants to attend Dallas storage auctions on a regular basis. Let us do all of the research for you. We will save you time and money. 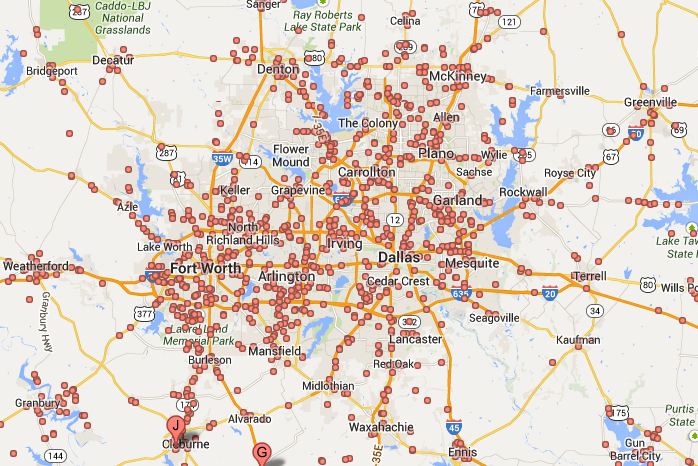 There are 50 storage facilities having auctions this week in the DFW area. Click the button below for instant access to the auction lists and e-book.